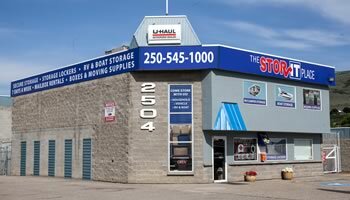 The Stor-IT Place has been providing customers in and around Vernon with affordable personalized storage solutions for over 20 years. 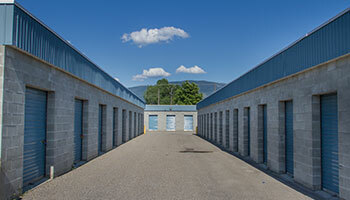 Our 2.7 acre compound provides you with the most centralized facility in Vernon. 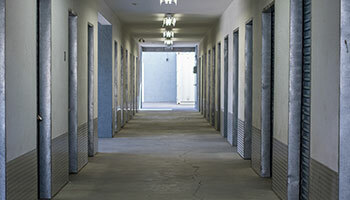 The concrete buildings house over 470 units and they come in 17 different sizes. The Stor-IT Place is always well lit with new LED lighting installed and its wide isles make loading and unloading hassle free. With a keypad system, state of the art HD video surveillance cameras and sophisticated internet connectivity, our advanced security technology guarantees that your important belongings are being constantly recorded and monitored. Recent facility upgrades include new fencing and taller gates. Our in town location means that you are always close to your possessions and that makes us a convenient option for storing your recreational vehicle or boat. We have on site Uhaul truck and trailer rentals, boxes, tape, and all of the other supplies necessary to help you get your move done easily. We are your one stop moving multi-centre. Our friendly knowledgeable staff will be glad to show you long and short term storage solution possibilities that we offer. The Stor-It Place, the very convenient solution for all your storage solutions.